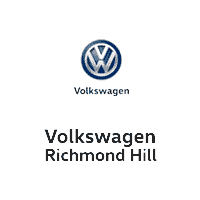 Volkswagen Richmond Hill is located in Richmond Hill and serves as your northern GTA Volkswagen dealer. If you are looking for a new Volkswagen or used car, then check out our inventory. We have a variety of new cars in stock like the City, Golf, Golf Wagon, GTI, Jetta, Jetta Wagon, New Beetle, New Beetle Convertible, Passat, Tiguan, Atlas and the Touareg! If you don’t find the Volkswagen model you are looking for in the color you want, feel free to contact us and we will be happy to find it for you. If interested in pre-owned cars, make sure you check our used inventory. If you see a car you like, please contact us to make sure we still have it in stock, as our used inventory changes often. Come into your Northern GTA Volkswagen dealer today to test drive a new Volkswagen. We would love to take you for a spin.